Ever wondered what it’s like inside one of the clubs of the illusive Soho House? Thanks to a new collaboration — launching today — between Soho Home and Anthropologie, you can bring part of the brand into your own abode. Since 1995, Soho House has acted as a home away from home for creatives. The members-only club and hotel now operates in 18 different locations around the globe. Soho Home, the more accessible branch of the company, builds upon the brand’s reputation for high design with a line of tabletop items, home accessories and art prints inspired by the stylish spaces. Now, in collaboration with Anthropologie, Soho Home is expanding beyond the United Kingdom and coming to the United States for the first time. With this exclusive partnership, shoppers can peruse more than 50 products on anthropologie.com and in select stores across the country. 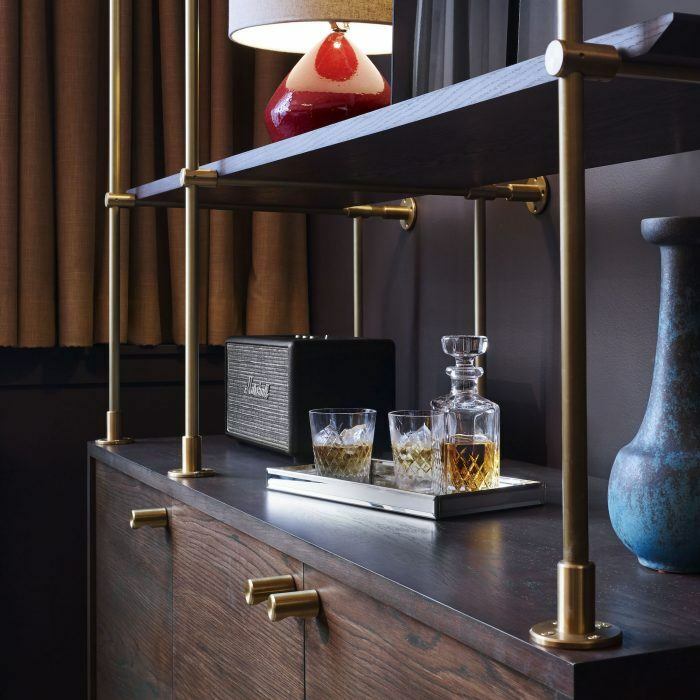 The collection’s accessible price point is a dream come true for those looking for the Soho House glamour, without the membership fee. Prices range from $8 to $400 for a collection of linens, tableware, and — in proper English form — tea sets. Check out some of our favorite items from the collection, below, and shop it for yourself before it’s all sold out! Plus, check out another one of Anthropologie’s genius collaborations with a British brand here.